NAIROBI, Kenya (PAMACC News) - Calls for paradigm shift, a united approach, more funding and ratification of the Paris Agreement to tackle global environmental degradation dominated the high-level session of the UN Environmental Assembly (UNEA 2) yesterday. Kenya's President Uhuru Kenyatta while officially opening the high-level segment attended by ministers and high-level representatives of over 170 governments, stressed the need for partnerships to address effects of climate change. "For the past two decades, we have seen a movement emerge across the world that protecting the environment cannot be a tertiary matter. We must make sacrifices now to leave our children a viable tomorrow," Uhuru said. The President noted that with African countries dependent on agriculture to tackle poverty and unemployment, the continent has more to lose if it acts to conserve the environment and most to gain by mitigating climate change challenges. 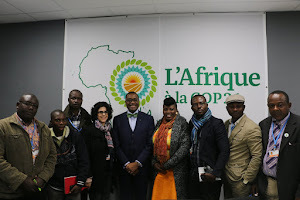 "Africa must prioritize environment matters and be supported to achieve its goals towards sustainable development. We have to work together to accelerate environmental management so that we win as a team or all of us lose," Uhuru said. He noted that as a country Kenya is at the forefront of ensuring sustainable growth and called on the world to help it in its efforts to conserve the environment. "We have taken steps to ensure a sustainable planet. We have invested in renewable energy in wind, geothermal and sun to power our activities. We have adopted a green economy strategy. We call upon our partners to support us in our endeavours to make the world a better place to live in," the President said. He reiterated Kenya's commitment against poaching and illegal trade in wildlife products. "In April, we held the Giants Summit here and went forth to burn ivory from 8000 elephants and 100 rhinos. This showed the world that ivory is worthless unless it is on the elephants," Uhuru said. As a follow up to the ivory burn, the President urged the world to back the country's call for a total ban on illegal ivory trade. "Later this year, my government will in South Africa during the Convention on International Trade in Endangered Species of Wild Fauna and Flora (CITES) conference seek for a total ban on ivory trade," Uhuru said. He promised that Kenya will support actionable outcomes agreed upon at the conference and continue supporting UNEP to execute its mandate to preserve the environment. Jan Eliasson –UN Deputy Secretary General who represented Secretary General Ban Ki Moon echoed Uhuru's sentiments for a universal approach to mitigate against effects of environmental erosion. "I am inspired to be here among UNEA member states because decisions made here will impact on the future generations to come," Eliasson said. The Deputy Secretary General called for a more comprehensive, clear and decisive action plan to tackle environment matters. "We need to safeguard the world and in turn make peace for the world. In 2015, we signed the Paris Agreement for climate change and now we have the sustainable development goals (SGDs). We now need a transformative agenda to tackle water, sanitation, climate change and human settlement," Eliasson said. He added, "We need courage, foresight and wisdom to address devastating impacts of climate change. Let us have an integrated approach to build peace and security, build resilience, address conflicts before they reach tipping points," he said. He called for partnerships so as to be able to address climate change. "We need to revitalize global partnerships to address the challenges for global growth. 2016 is more demanding as we need to translate environment issues into national and international agenda and deliver a sustainable future to our children," Eliasson said. Achim Steiner – the outgoing UNEP Executive Director urged delegates to dialogue and come up with concrete agreements to foster the environment agenda. "I have been at the helm of UNEP for ten years. I am happy with my achievements. 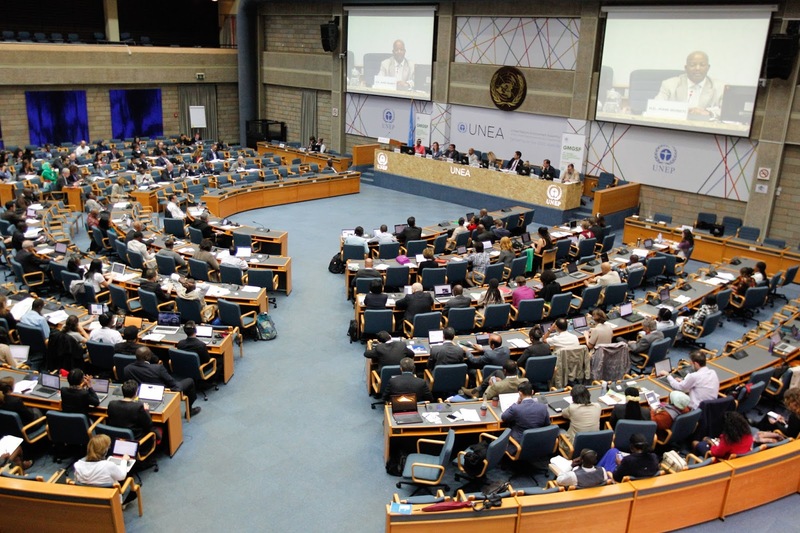 I leave when we now have a global voice through UNEA on environment," Steiner said. He added, "We need a new era for environmental governance. I cite the Kenyan proverb that says 'Baba yangu alinifunza kutunza mazingira ndipo dunia iwe nzuri (My father taught me to protect the environment so that the world becomes a good bless to live in) as my challenge to the world. France's Environment Minister Ségolène Royal who was the Conference of Parties (COP21) president which was held in her country last year called for implementation of the Paris Agreement. "I urge governments to implement the Paris Agreement to address climate change as it gives rise to conflicts, war, poverty, drought, access to water, desertification and human and animal migration," Ms Royal said. She noted that if climate change is not tackled now, millions of people will be forced to migrate to better zones and accelerate conflicts. "So far, 50 nations have ratified the Paris Agreement including 14 most vulnerable ones. This meeting offers us an opportunity of a lifetime to work together with scientists who discovered that human activities are responsible for climate change and disasters," Ms Royal said. She added, "We need money to do this. We have mobilised US 60 billion dollars of the US 100 billion dollars committed by the international community towards climate change activities. We need to act without greed to stop destruction of the environment." She promised Kenya for her efforts in conservation. "I was here when President Uhuru burnt ivory and rhino horns. I promised to ban trade in wildlife products in France. I have already signed a ministerial order for this. I urge others to follow suit so that we save our animals," Ms Royal said. Salaheddine Mezouar, Morocco's Minister of Foreign Affairs and COP 22 president called for more funding to enable countries carry out climate change mitigation projects. "We need dynamic renewal in Africa. We need a paradigm shift and work in solidarity, commitment and determination. We need a new civilisation, a new world mindset that shares resources equitably. We should act as a team because this is a global problem," Mezouar noted. He called for a collaborative effort towards achieving SDGs. "As hosts for COP 22 in December, we want to start something new. We need a conviction to move away from promises to actions. Let us work together with governments, civil society and private sector to have a one-stop-shop for financing climate change activities," Mezouar said. Dr Edgar Gutierrez,the incoming president of UNEA called for ambitious decisions to save the world from further degradation. "It is time for a new world order, more coherence and coordination in the UN system and clarity for sustainable development. UNEA 2 offers us a chance to agree on steps to transform the world," said Minister of Environment for Costa Rica. He added, "We need a new world alliance that is inclusive to share economic aspects, scientific knowledge and technology to save the world."